Suspension and anticipation are two sides of the same coin. As you saw last week, suspension extends a note from one chord to the next. Conversely, anticipation does the exact opposite by introducing a chord with a note that's already present in the previous one. In both cases there might be a "dissonant" phase that calls for a resolution in the following chord. Just like with suspension, the resolution of an anticipation is achieved by an ascending or descending conjunct motion. But unlike the suspension, the anticipation occurs on an off-beat. Finally, generally speaking the anticipation is shorter than the suspension. The following is an example of an anticipation, where X is a non-chord tone of chord Y, but clearly linked to chord Z which it is introducing. 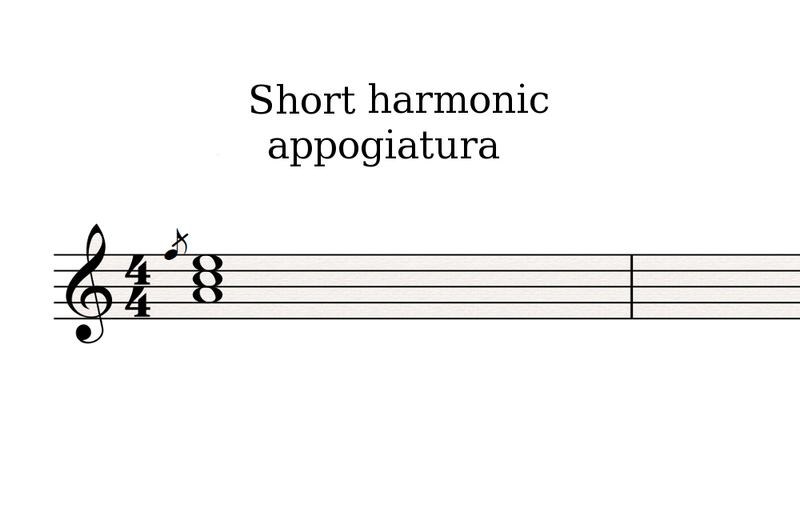 An appoggiatura is a phenomenon that is closer to harmonic uspension, and you'll see why in a moment. First of all, you need to distinguish between the melodic and harmonic appoggiatura, but also the short from the long appoggiatura. The melodic appoggiatura resolves on a note, while the harmonic appoggiatura resolves on a chord. Makes sense, doesn't it? Short appoggiaturas (or acciaccaturas) are much more easily identifiable and characteristic than long ones. They are brief sonic "hicks," usually a half or whole step above or below the resolution note or chord. They have no pre-determined duration. This small crumbs are usually written using a grace note, printed in small character, with an oblique stroke through the stem. Long appoggiaturas are also written with a grace note, but without the oblique stroke. 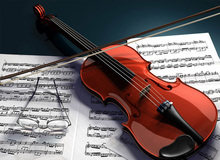 They do have a pre-determined duration, which is given by the nature of the note itself (sixteenth note, eighth note, etc.). Hence, the duration of the small note is taken from the resolution or principal note. Long appoggiaturas can also be graphically represented with normal notes. But then what's the point of representing them with smaller notes? Well, simply because it allows the performer to have a visual reference. It's also important to point out that the principal notes of the melody are not the appoggiatura notes, but rather the resolution notes. But regardless of whether they are long or short, harmonic appoggiaturas are always characterized by a non-chord tone of the resolution chord. In this regard they are similar to a suspension. And like it, an appoggiatura occurs mainly on the strong beat (even though they can also occur on off beats), most often on the strongest beat. But unlike a suspension, there is no preparation note or chord. It just sort of happens. In fact, that's often the definition given for an appoggiatura: an harmonic suspension without preparation.